Teeth Whitening Services in Fort Worth - H. Peter Ku, D.D.S., P.A. Teeth Whitening in Fort Worth – Brightening Your Smile, On Your Own Terms! We’re committed to making sure that you leave this office with a healthier mouth, AND with a smile that you’ll be proud to show off. That’s why we offer a variety of teeth whitening services for our customers. We offer two types of teeth whitening (otherwise known as “bleaching”). Which one you’ll choose depends solely on your personal preference. 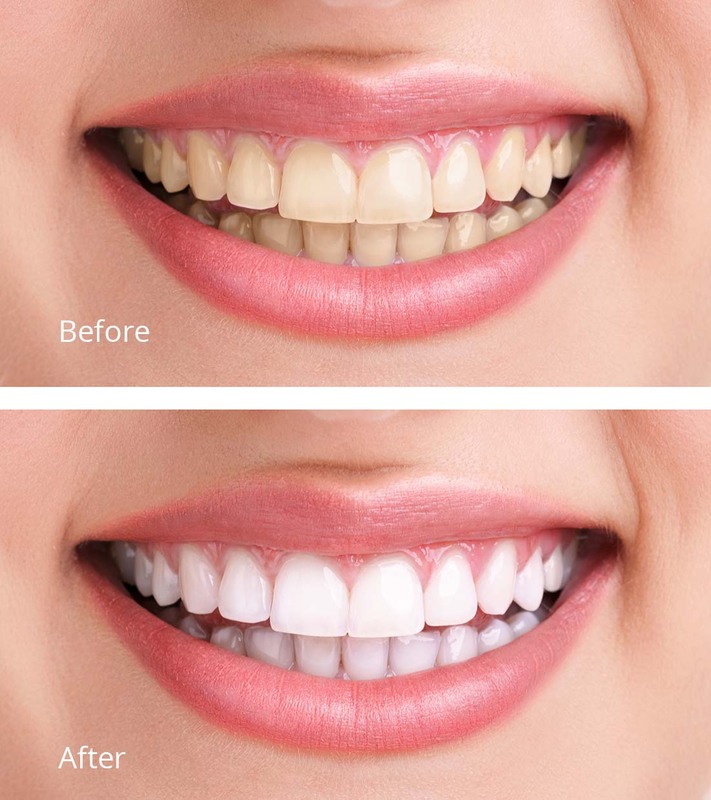 If you want to come into the office and get your smile beautified by our outstanding professional staff, then in-office bleaching treatment is right for you. You’ll be able to tell the difference immediately after we’re done! The process isn’t hard – read below for a brief description, and to learn how this treatment can change your life. After our dentist applies a “gingival barrier” (a process used to protect your tender gum tissue), we use a pharmaceutical-grade bleaching solution and a curing light to lighten and brighten your smile. We take a before and after shade so that you can see the fabulous change before you even leave our office. Your teeth will continue to lighten after you leave, too! One of the advantages of this type of power whitening is we do all the work for you – and in less time than you would spend at home bleaching! If you’re always on the go and don’t have any time to come by the dental office, or if you’re the type of person that likes to take matters into their own hands, take-home bleaching treatment might be just what you’re looking for. You’ll be able to whiten your teeth whenever you have the time, and in the comfort of your own home. This process, which can be done anywhere and anytime, starts with us creating a set of custom-made bleaching trays (like a thin, transparent night-guard) for you. You will wear these trays, filled with a mild bleaching agent, for ½ to 1 hour per day for about two to four weeks. Again, one advantage of the home whitening is being able to perform the treatment whenever it is convenient for you. A recent study (cited in USA Today – see, we’re not just making this up!) showed that people tend to notice how white and clean your teeth are before anything else in your personal appearance. Luckily, these two easy whitening methods are available to make sure you’ll always be leaving the best first impression possible. *The degree of whitening you can expect varies with each individual, and the results cannot be guaranteed, but the average patient achieves considerable change – between 1 and 3 shades lighter.